The email address that you are checking needs to be entered into the username, and the password will be the one for that specific email address. You will then be transferred into the WebMail software, this will give you access to view and use your email in a similar manner to a Hotmail or Gmail system. This WebMail is usable anywhere in the world that you have access to an internet connection, whether by PC, Notebook, or Mobile device. WebServe4U Account Holders can login to their accounts from anywhere in the world, and manage their services by simply entering the personal username and password issued when the account was first setup. Broadband is the technology that allows high speed access to the internet and is usually through the either the telephone network of copper wires (ADSL broadband), cable/fibre optic or by the 3G mobile network (mobile broadband). This information identifies what to consider when buying a broadband package. Click on the icon for further information. This is the SAYNOTO0870.COM WebSite, This site lists many Companies and their equivalent Geographical numbers. This enables you to call them from inclusive minutes packages, rather than paying separately for the call. DNSstuff is a web application that empowers users with tools and expertise to test, resolve and configure their DNS and network. Over 2 million smart people trust and rely on us to keep their businesses safe. XE Currency Converter is an easy to use and quick service for currency conversions for all your international business. The World Clock is a very useful tool to quickly and efficiently check the time at any place around the world. Protecting your System & Data , Until you have an issue relating to losing data, you will not realise how much you rely on the information you store on digital media. These precautions will assist you in ensuring that you do not needlessly find yourself in that situation. 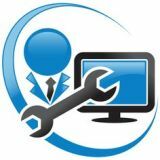 Computer Repair Companies in Pembrokeshire, and the surrounding areas.